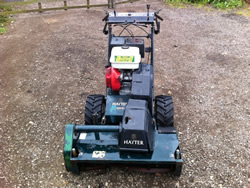 USED HAYTER MOWERS – Machinery for sale from ETC Grass Machinery. The name of Hayter has been synonymous with British grass cutting for over half a century. As a pioneer of the rotary lawnmower, the company has become a household name offering a wide range of high quality products to suit your needs. 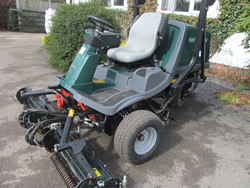 ETC Grass machinery stock a large selection of used ride on mowers/machinery for Golf courses,sports fields,caravan parks and all amenity grounds in the uk and export. We supply a wide range of grass cutting equipment to the turf care industry. 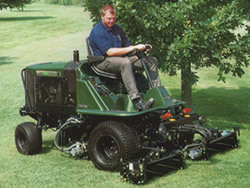 We distribute and deliver ride on mowers,tractor mounted,pedestrian,fairway,greens and tees mowers. We also offer servicing,technical and parts support on the best machinery and attachments to suit your application.